Commercial Loops bike racks are excellent for bicycle parking. 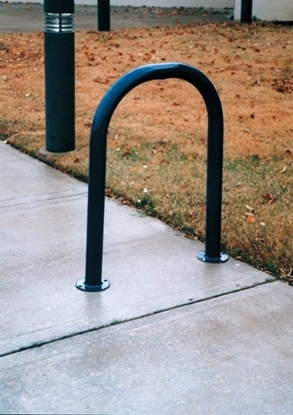 Commercial loop bike racks are easy to install and provide an excellent secure bicycle rack for bicycle parking. The simple design can be in-ground mounted or surface mounted into concrete. Loop bike racks are so popular at public buildings such schools, playgrounds, convenience stores, no introduction is really required. Call Park Tables to discuss the style, size, price and lead time of our commercial loop bike racks.